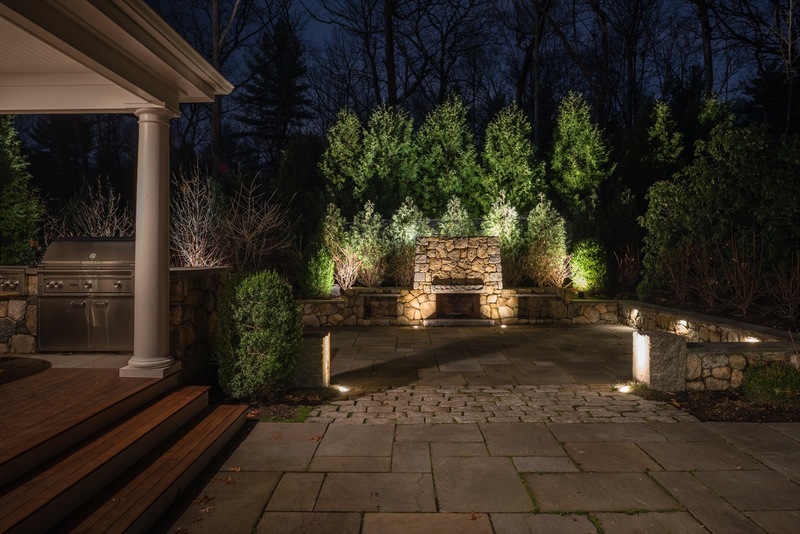 The experts at a Blade of Grass share their tips for making the most of landscape lighting. Landscape lighting, when done thoughtfully and creatively, can really transform your outdoor space, and lets you enjoy your garden for more hours in the day. Below, a beatiful patio gets new life in the evening hours—gorgeous LED lights enhance and accentuate the stone wall, stone fireplace, and even the surrounding trees. This well-lit outdoor space is the perfect answer to summer dinner parties and barbecues, and lets the socializing extend well into the evening. 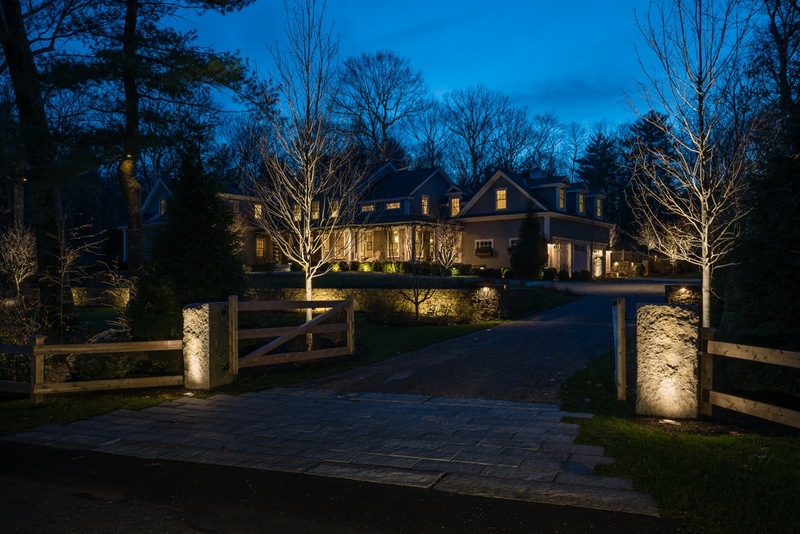 Below, beautiful landscape lighting displays this home's stone walls and trees, as well as lighting pathways, doorways, and steps. Not only does the landscape lighting enhance the beauty of this home at night, it also ensures the safety of visitors and guests. For those concerned about the hassle of landscape lighting, a Blade of Grass recommends LED bulbs—they are low-cost, energy-efficient, and rarely require changing.